Honorable Yusuf Maitama Tuggar has been recently nominated as an Ambassador of the Federal Republic of Nigeria. This quintessential honorable is a uniquely gifted individual passionate in all his ways. A lot of people will wonder who he is and why the commendation. Here is a bit about the honorable for those who may not know much about him and his accomplishments. Hon. Yusuf Maitama Tuggar was born on 12th March 1967, the son of prominent second republic Senator, Abubakar Tuggar. 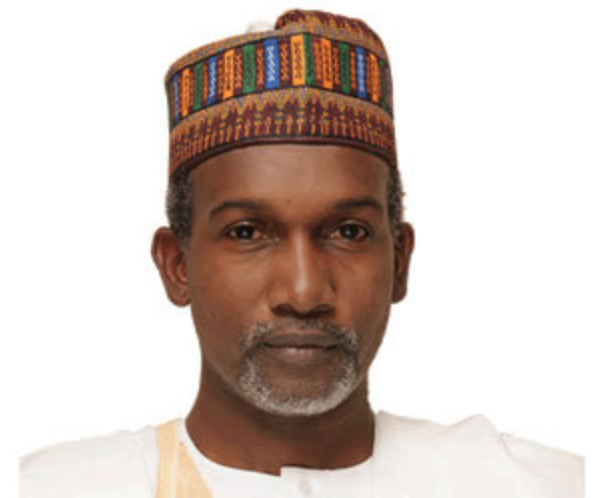 Yusuf Tuggar hails from Udubo in the Gamawa Local Government Area of Bauchi State. He began his primary education at the prestigious Kano Corona Trust School, from 1972 to 1978. From there he proceeded to the Federal Government College Ilorin Kwara State where he attained his GCE O-Levels from 1978 to 1983. He then went on to St. Bede’s School, The Dicker near Halisham East Sussex, England where he attained A-levels in European & English History, Geography and Economics, from 1983 to 1985. Yusuf Tuggar then proceeded to the United States for his tertiary education to study at the United States International University (USIU), California from 1986 to 1989, where he obtained a BA in International Relations. A conscientious and ardent student, he was an honour-roll student, featuring on the much sought after Deans List and in the National Deans List Book 1988 – 89 publication. Eager to contribute his quota to the service of his country, the young Tuggar immediately returned to Nigeria to observe the compulsory year of National Youths Service, serving as a Sales Representative/Agent at Golden Services Limited in Kano from 1989 to 1990. He properly commenced his professional career at Tuguma Enterprises Limited where he rose through the ranks from a Public Relations Officer to Sales Manager and then was promoted as the company’s Managing Director, a position he occupied from 1993 to 1999. His work experience at Tuguma Enterprises, a company involved in the supply of spare parts to the Kaduna and Port Harcourt Refineries, oil trading- spot lifting of crude oil and consultancy for foreign companies, whet his appetite for what has turned out be an illustrious and successful career in the oil and gas industry. In 1994, he became the Director of International Procurement Nigeria Limited (INTEPROC) and also joined fuel oil trading company- Petroil Tradingas a Director. A position he held from 1998 to 2008. He is also a Director in Occitania International Limited. In 2001, along with other business associates he founded Movido Exploration & Production Limited, a company which was awarded 100% participatory interest in the Ekeh field OML 88 in the 2002 marginal field farm-out exercise. He also served as Deputy Managing Director and Executive Director of the company. Country Analysis: Monetary Credit System and Credit Management in Nigeria for Visacard. His passion to serve his people, not surprising considering his antecedents with his late father being a second republic senator, led him to contest for and win a seat in the House of Representatives representing the Gamawa Federal Constituency in his first ever formal foray into running for public office. Upon assumption of office in the National Assembly, he immediately emerged as a force to be reckoned with, due to his depth of knowledge and professionalism. He was appointed as Chairman, House Committee on Public Procurement which birthed the Public Procurement Act 2007. He led the committee in conducting oversight visits to MDAs, highlighting areas of non-compliance with the Act and worked in tandem with the Bureau of Public Procurement (BPP), an agency his committee had direct oversight responsibility for. In addition to his chairmanship of the Public Procurement Committee, he proved himself as an invaluable member of various committees and sub-committees including the Committee on Petroleum Upstream, Committee on Foreign Affairs, Committee on Agriculture and Committee on Interior. Passionate about the development of his people and eager to birth the change and development that seemed bereft in Bauchi State, he contested the 2011 Bauchi State governorship election on the platform of the Congress for Progressive Change (CPC). He came second in what was a keenly contested race and touted as two-horse race between himself and the incumbent governor. In furtherance of his governorship ambition, he commissioned an extensive study into agriculture revenue earning potential of Bauchi State. The study forms the fulcrum of his manifesto and policy document. CPC, having merged with other frontline opposition parties, Yusuf Tuggar is now a member of the All Progressives Congress (APC). He continues to be a champion of Politics of Values, a key slogan of his 2011 governorship campaign, fostering meaningful alliances. 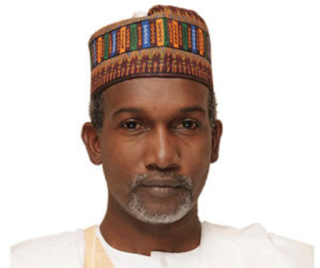 He is the convener of the Broom Initiative, a highly cerebral think-tank of select members of the All Progressives Congress with like minds and a vision for an enduring and formidable party structure in accordance with the Constitution and Guidelines of the party, ensuring cohesiveness and inclusivity. In February 2012, he was consulted to work on the Facility for Oil Sector Transparency (FOSTER) in Nigeria, a 5-year major change programme funded by the Department for International Development (DfID). The FOSTER project working with the Department for Petroleum Resources, had the responsibility to support the agency’s quest for a reform in the transparency of oil licensing rounds, providing technical input on the design and conduct of future upstream licensing rounds. On the 25th of July 2013, he was appointed a Director of Librod Chemicals Limited, a testament to his extensive wealth of knowledge, skills set and experience in the oil and gas industry. Librod, now known as Lbnerg provides offshore logistics services, oilfield chemicals and related services, industrial gas and pipeline services and engineering services. The company has a mutually beneficial partnership with Weatherford Oil & Gas Services, another leading oil and gas servicing company. A voracious reader and avid writer, he joined the Editorial Board of Daily Times of Nigeria (DTN) as a member, from 2006 to 2007. Writing political and social essays for Nigerian Newspapers and Magazines. Published essays include: The Land of Organized chaos, Urbanization, Wole Soyinka: Yes History Does Matter, The Niger Delta: A lasting Solution to the Problem, Revitalizing the North, The Bauchi Formula. Yusuf Tuggar is the recipient of the prestigious Chevening Scholarship.